These beautiful, tiny marine mammals only live in New Zealand’s coastal waters – nowhere else in the world. The dolphins are among the world’s smallest cetaceans, easily recognised by their distinctive dorsal fin shaped like a Mickey Mouse ear. 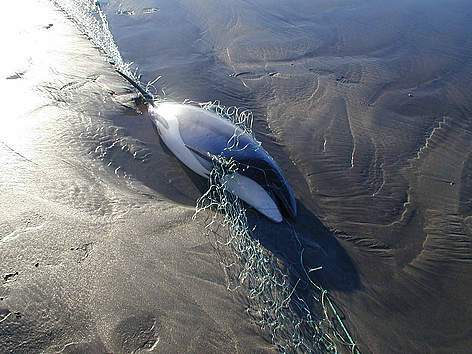 Hector’s dolphins (Cephalorhynchus hectori) are found only around New Zealand’s South Island. 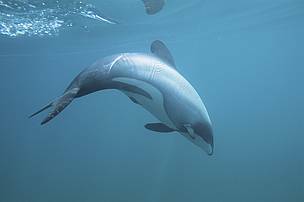 A subspecies, the Māui dolphin (Cephalorhynchus hectori maui), lives in shallow coastal waters along the North Island’s western shores. Hector's dolphin. The numbers of Hector's dolphins have plummeted in the last four decades from 30,000 in the 1970s to an estimated 7,270 today. Learn more about how we work with communities, politicians and the fishing industry to save Māui dolphins.